A British PokerStars Casino player has turned gold into bricks and mortar with a massive $280,270 win at PokerStars Casino’s Winstar slot. The lucky 31-year-old from the East Midlands was “shaking like a jelly” and had to ask his mom to double check if he had really just hit the jackpot or if it was just his imagination after all five reels turned gold on the progressive jackpot slot. I can't put into words. I felt relieved I could finally buy a house. So surreal. The money is going to go towards providing a secure future for himself, his girlfriend and her daughter, “I've already found a house I want. It’s a dream house, two weeks ago I would never be able to look at a house like the one I am doing, [sic] now it’s a reality”. He plans to spend the rest on treating himself to a new car and investing to further maximise this life-changing sum in the long-term to give his loved ones, “the life we all want”. 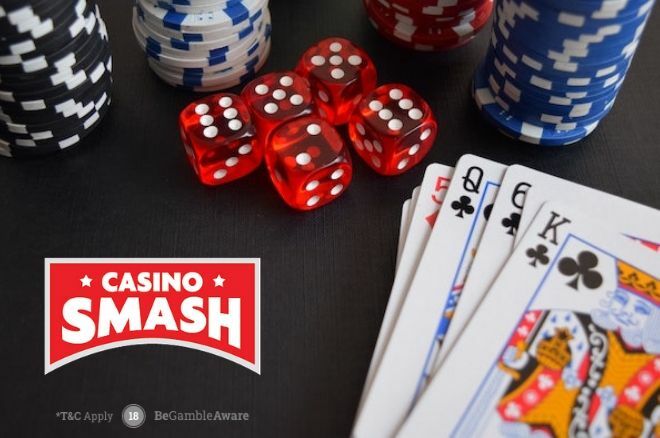 This is the second time this year that PokerStars Casino has provided a major winning moment and has paid out a mega jackpot more than $100,000, with another casino player also hitting the Winstar progressive jackpot earlier this month. More than $5 million in Winstar jackpot wins alone have been paid out since its launch on PokerStars Casino in February 2016. Click here to read our full review of PokerStars Casino. 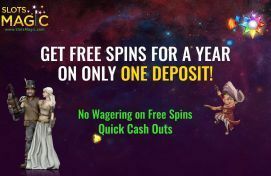 SlotsMagic is Offering Free Spins for an Entire Year!